I can’t believe I ate the whole thing! Actually, I can and I’ll do it again. 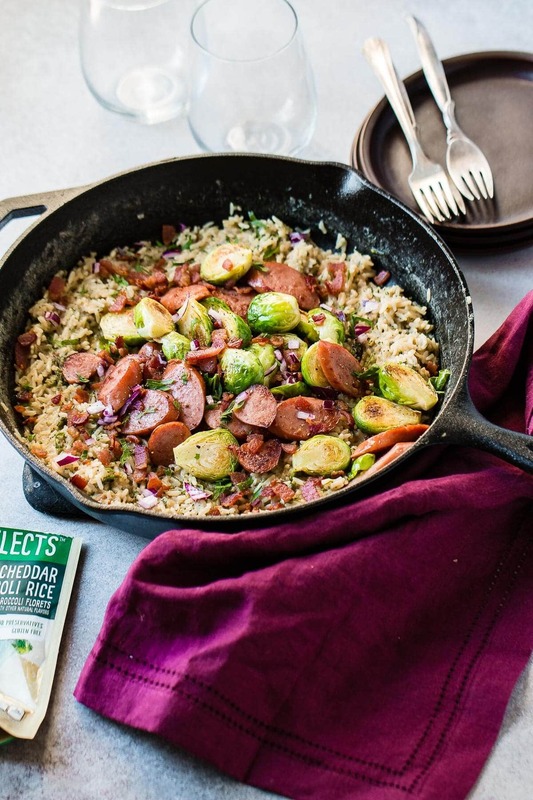 This is such an easy one skillet cheddar broccoli rice with kielbasa recipe! Kielbasa is a type of highly seasoned Polish sausage, typically containing garlic. 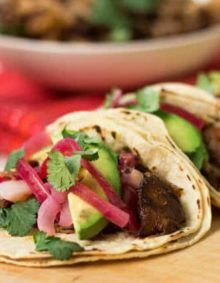 This recipe is made in partnership with Knorr, but all opinions are our own. Every time I go to make dinner, I stress more about the vegetables than I do about the main dish. What in the world is wrong with me that it’s so hard to come up with a side for each meal? I often have this issue when I’m making Mexican and Italian food. I feel like it’s always salad. You can’t really pair Honey Roasted carrots with burritos or Loaded Sweet Potatoes with ravioli. Why is Broccoli Good For You? I think that’s why I’ve been loving these Knorr Selects recipes so much. This one has broccoli already in it and it’s so easy to use for a one pot recipe or one skillet recipe. It’s also the perfect time to chat about our favorite time of year. You know how I feel about fall and harvest season thanks to my parents’ farm upbringing, but did you know there’s a National Farmers Day?!! 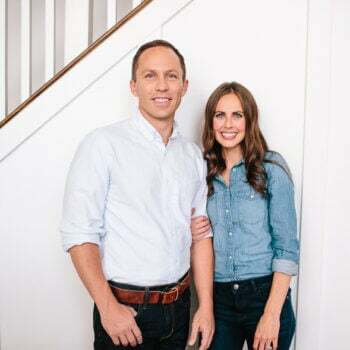 I have such a love for farmers and all of the hard work they do to put food on all of our tables that I couldn’t let another fall go by without chatting about this important day. We recently visited the Rexburg, Idaho farmers market (also where I’ve found one of the best corndogs ever, just sayin’) and seeing all of the vibrant produce from the farm got my mind whirling with ideas to celebrate. I wanted to make a quick and easy dinner, but needed it to be gluten-free for a friend, so I whipped out our trusted and flavorful Knorr Selects. Begin making your dish by frying up a little bacon (or turkey bacon if you prefer) in a pan. We like to chop it up before cooking it so that cooking time is only a fraction of what it normally is. Once the bacon is cooked, use a slotted spoon to remove it to a paper towel lined plate. Pour off most of the grease and place it back on the burner. Instead of adding butter or oil we will cook the brussels sprouts in bacon fat. You’re welcome. 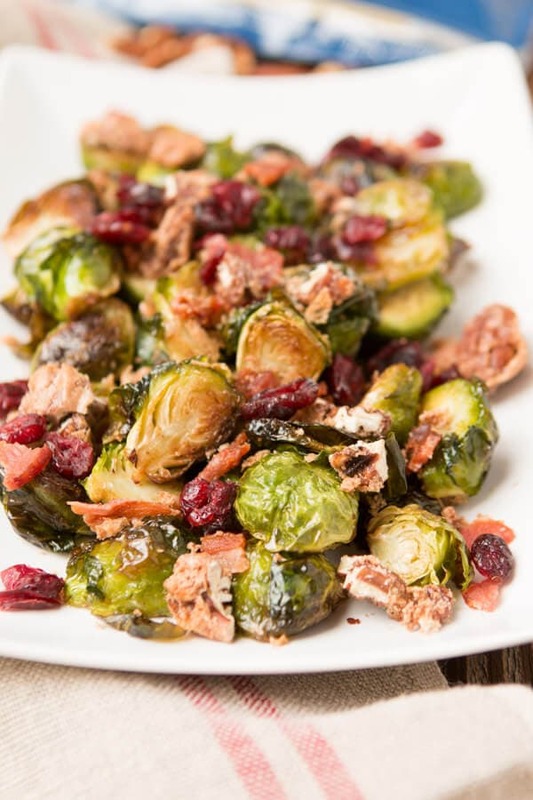 Most people think they don’t like brussels sprouts, but I am here to change their minds! I bet you wont be surprised to hear that I wasn’t always the biggest fan of brussels sprouts. I was such a picky eater. But as I grew older, I learned it’s only that I don’t like the way they taste boiled or steamed; I prefer them roasted or sautéed in a pan which makes them golden, crispy and wonderful. 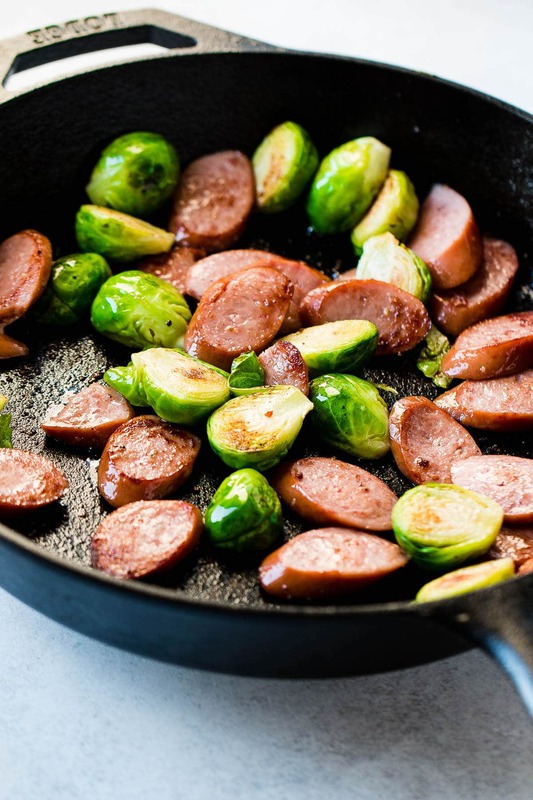 Add the brussels sprouts first and then the kielbasa so that everything gets a little color. Remove the two from the pan and add the Knorr Selects White Cheddar Broccoli and all of the ingredients on the package, water and milk. 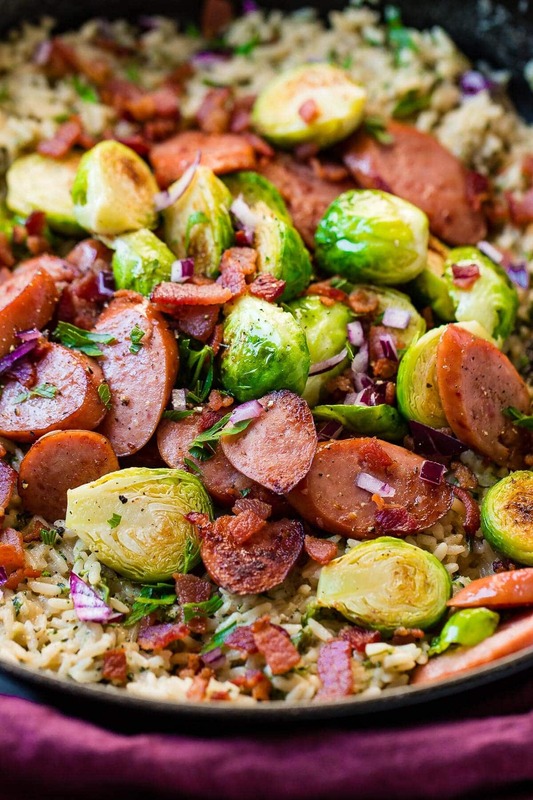 Cook per instructions then add the bacon, brussels sprouts and kielbasa back in with the rice and serve. It took us just over 25 minutes to make the whole dish including chopping AND Knorr provided all of the flavor so there wasn’t any measuring of spices etc. There are more six more unique Knorr Selects flavors like, Four Cheese Rissotto and Roasted Garlic and Alfredo Rice, which we used in our Freezer Meal Porcupines Meatball Recipe and our Cheesy Chicken and Rice Casserole so we can play around with what flavor combinations we want to try, but the cheddar broccoli really matched so well with the kielbasa I can’t imagine wanting to change it. Knorr Selects don’t have any artificial flavors or preservatives so it’s a convenient kitchen solution you won’t feel guilty about serving your loved ones. 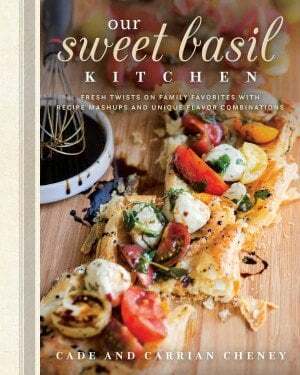 Its real ingredients and delicious flavor combinations will quickly become your family favorites and fit perfectly into meal planning. Plus, how neat is it that Knorr is on a continued sustainability journey to partner with farmers to grow crops responsibly as they continue to create genuine flavors and dishes? I love that. 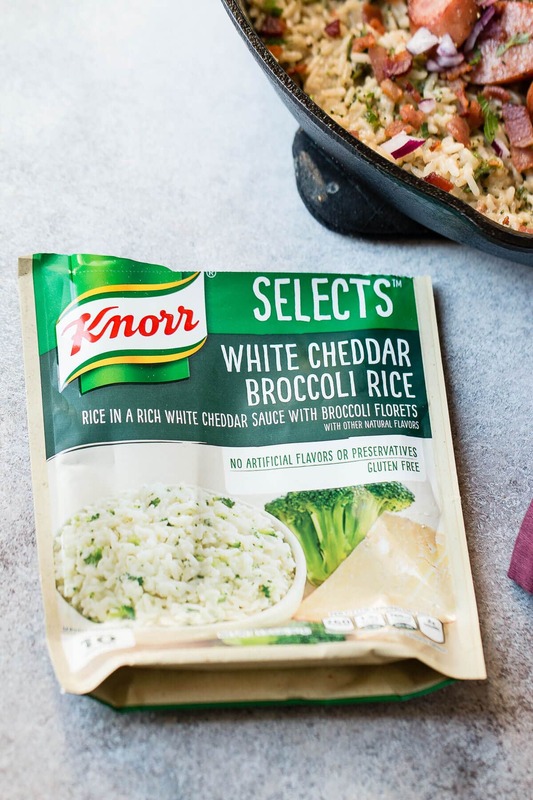 In fact, Knorr sources rice grown on Arkansas farms, dairy produced in the Midwest and garlic from California farmers. Plus, as part of the brand’s ongoing commitment to sustainability – 13 of its top vegetables and herbs are sourced through sustainable farming practices – Knorr’s goal is to sustainably source vegetables, herbs and cereals by 2020, and source all chicken, pork and beef from higher animal welfare farms. I know, maybe you were just here for the recipe, but isn’t it cool to see how Knorr and how they are moving onward and upward and has a bigger story to tell than just the products they create? Farmers are the heart of America and I can totally get behind a brand that recognizes that too. 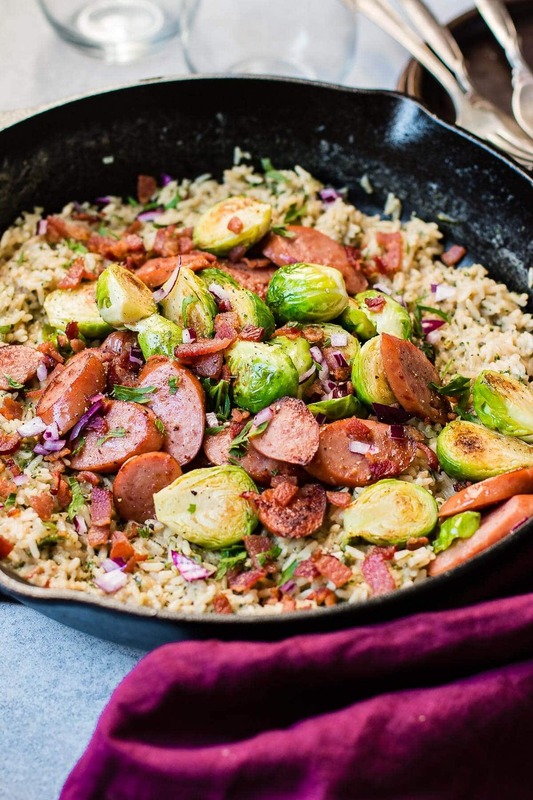 But let’s get on with our one skillet cheddar broccoli rice with kielbasa and if you make it, make sure you join our VIP Facebook group and show us how it turned out! Yes, all rice (in its natural form) is gluten-free. This includes brown rice, white rice and wild rice. … In this case, the “glutinous” term refers to the sticky nature of the rice and not the gluten protein found in wheat, barley and rye. Rice is one of the most popular gluten-free grains for people with celiac disease. I can't believe I ate the whole thing! Actually, I can and I'll do it again. 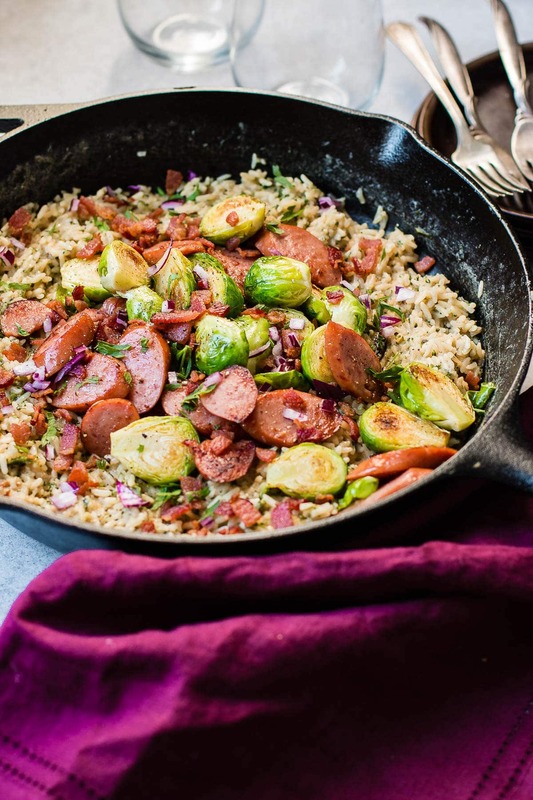 This is such an easy one skillet cheddar broccoli rice with kielbasa recipe! Add the bacon and cook, stirring occasionally until everything is crisp. Remove to a paper towel lined plate and drain most of the grease from the pan. Heat the pan to medium high heat and add the brussles sprouts and a dash of salt over the veggies. 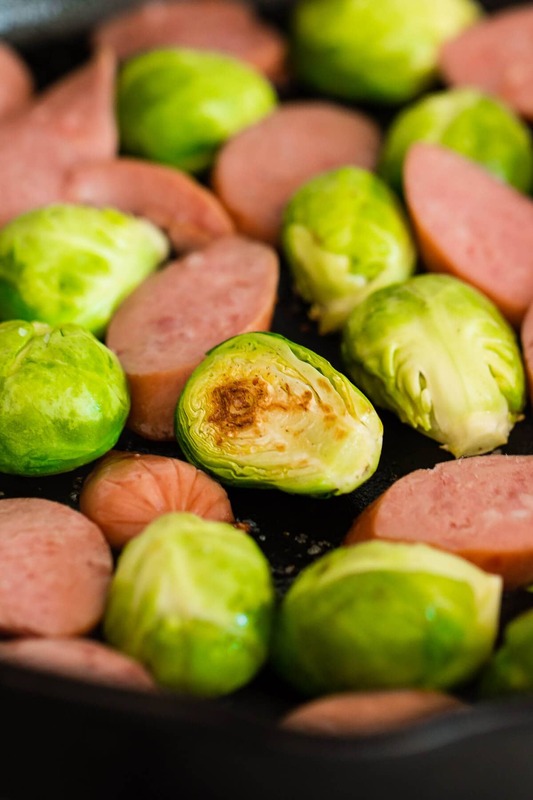 Cook for 2 minutes or until the sprouts start to brown and add the kielbasa. Turn the heat to medium and continue to cook until the kielbasa is browned. Remove everything to a plate with the bacon. Add the rice, water and milk to the pan according to package instructions. Cook per package directions and then give everything a final stir and top with bacon, brussels sprouts and kielbasa. 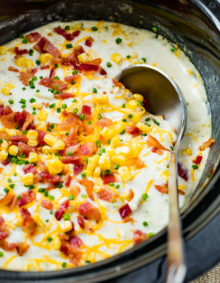 Serve immediately or cool completely, store in the fridge and eat within one day. You can use any veggies you'd like. Asparagus, and peppers would be so good too! The recipe that sold me on brussels sprouts forever! I’m 200% Polish but unfortunately my wife doesn’t enjoy kielbasa. 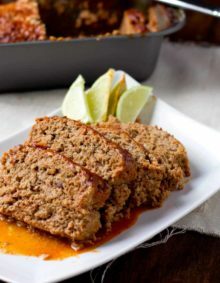 Going to use recipe and substitute chorizo sausage….Simple…tasty dish…thanks for the idea ! !